This post is an editorial. We are including new benchmark results, which should theoretically give you something new to discuss, but pleaseee take it with a grain of salt, as there’s simply not enough data to make any final judgments. 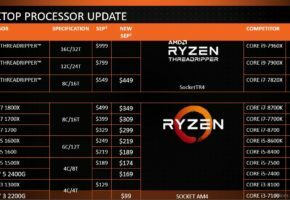 Let’s start with a list of all AMD Ryzen CPUs compared to Intel’s current offering based on available information. 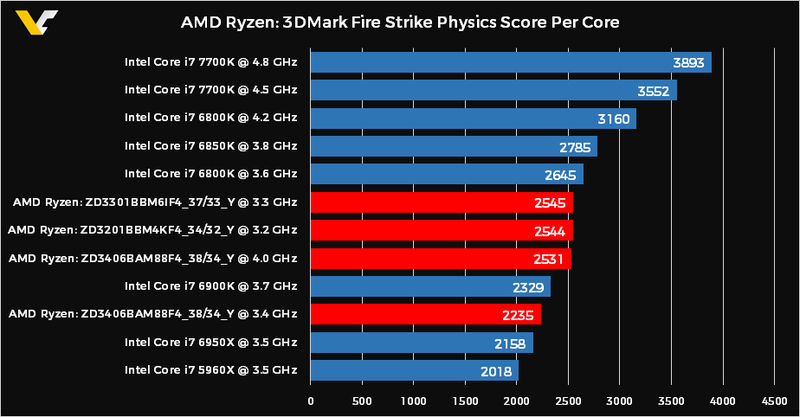 3DMark Fire Strike Physics test benchmarks the hardware’s ability to run gameplay physics simulations on the CPU. 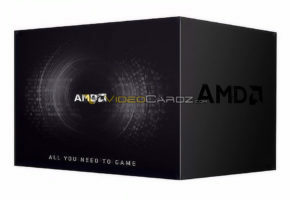 The GPU load is kept as low as possible to ensure that only the CPU is stressed. The Bullet Open Source Physics Library is used as the physics library for the test. The test has 32 simulated worlds. 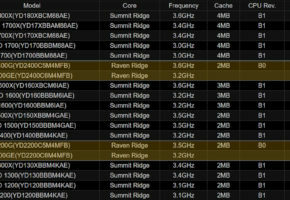 One thread per available CPU core is used to run simulations. 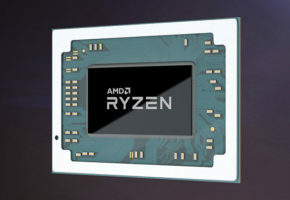 All physics are computed on CPU with soft body vertex data updated to GPU each frame. 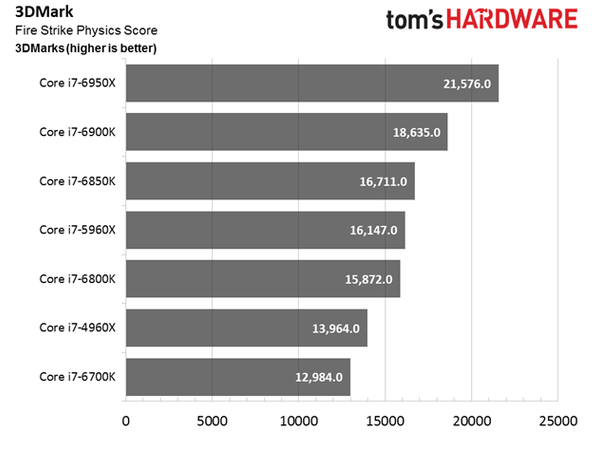 So basically more cores = better performance, but it also matters how fast each core is. First, we need data for comparison. 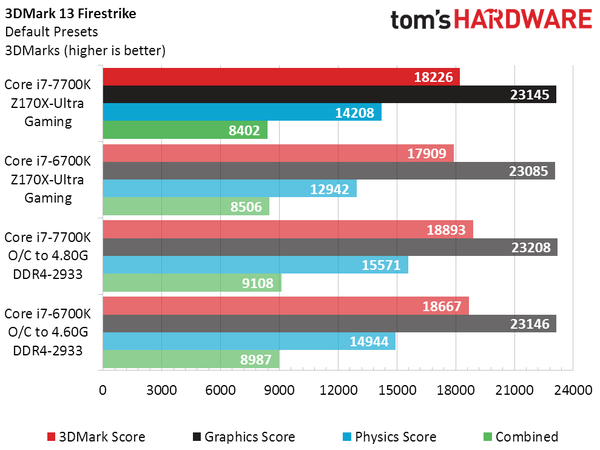 We could use the official list from Futuremark, which actually shows slightly lower values than what reviewers can achieve, or we could use a review from Tom’s Hardware #link1 #link2. I think the next chart is far my important. 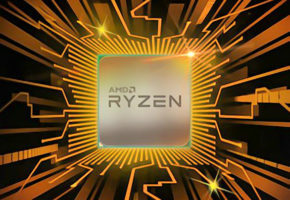 Notice how close all Ryzen CPUs are to each other if we take single-thread performance. 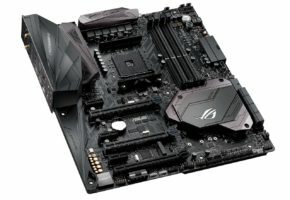 Kabylake CPUs really are doing better here, but since Ryzen offers more cores, that difference suddenly becomes unimportant. The lesson from this is simple. 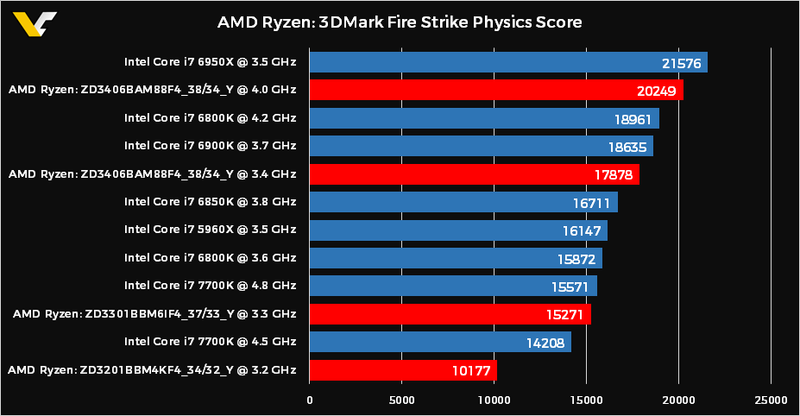 We can finally start benchmarking GPUs with Ryzen.